Over on Vulpes Libris, I review Nicola Humble’s book Culinary Pleasures, about cookbooks, food history, how the British learned to cook, and what disastrous food and kitchen fads we have survived. 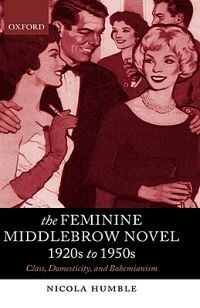 This was an interesting one to review, because before she published Culinary Pleasures, Professor Nicola Humble was queen of middlebrow studies, author of The Feminine Middlebrow Novel (now quoted by the authors of hundreds of PhD theses, scholarly articles and earnest book chapters, myself included). She moved from the traditional subject of novels to the untraditional research topic of cookbooks, while staying in a now traditional genre: women’s reading. It’s typical of Humble’s approach that she shows how the ordinary and banal are extraordinarily interesting, and socially and culturally relevant for their connections to more academically acceptable themes. This is what middlebrow studies is about: looking again and looking critically at the things we read that had never been considered before. The study of English literature has been enlarging its boundaries radically in the past thirty years. My private theory is that the increase in the numbers of people studying at university level in Britain since the 1990s means that we need more and new research subjects for the ever-rolling stream of PhD students. The academy’s capacity for writing dissertations on Shakespeare, Woolf and Hughes was becoming exhausted under traditional terms of scrutiny. Something happened to allow literary criticism to widen its borders. Now, we study not just what people read, but how people read, why they read, what they thought about what they read, and the marginalia printed all around the important things that people read, which they also read, and were changed by, without noticing. 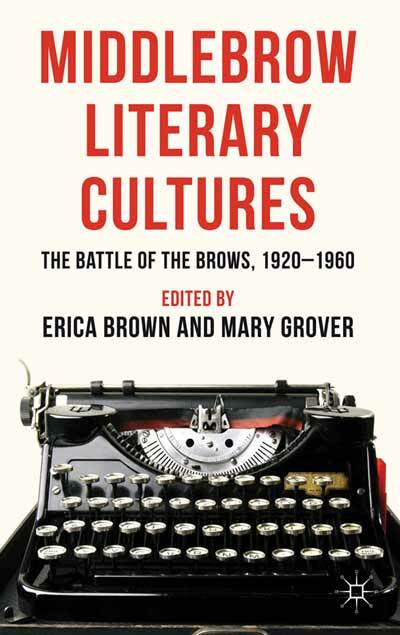 The traditional authors and works are still studied, but the overflow is accommodated most creatively through middlebrow studies. Fifty years ago, traditional teachers of Eng lit would have boggled to see scholarly books being published about the study of newspapers and ‘print culture’, and would have rejected the ‘reading experience’ as a subject for study. There were strict hierarchies of the authors and ‘texts’ that were suitable for university study, and you had to push hard to be allowed to study the one you wanted if they weren’t conventional. If you were lucky, you found an open mind and a friendly mentor. Isobel Murray at Aberdeen allowed me to study John Buchan for my final year dissertation: David Daniell at UCL leapt at the chance of supervising my Buchan PhD. Yet the rest of the academy, epitomised by the stuffiness of the then English department at UCL, snooted at my subject, and made me feel a pariah. Now, I too am making judgements about which authors my MA students should be allowed to write a thesis for examination, and which they might be better ‘approaching’ in a different way (from a periodicals studies perspective, perhaps, or as a group of writers epitomising a theme) because their prose doesn’t cut the mustard. I won’t supervise an MA on Harry Potter, for example, but I’d be happy to supervise a thesis discussing novels about witches by J K Rowling and other authors. You need something to chew on for literary criticism, and if the writing isn’t chewy enough (which I don’t think Rowling’s is, on its own), then add something else to the mix to see how you can draw out that essential something in an author’s writing that makes people read. During interminable family holidays I used to sit in my grandparents’ cold front room that was hardly used, while the racing was on in the other room, desperate for something to read. I looked through cupboards containing old prewar newspapers, tatty cheap paperbacks by authors I’d never heard of, Readers’ Digest anthologies of bizarrely truncated novels (teaching me the horror of ‘abridged’) and sepia illustrated Royal Gift Books. This was the beginning of my fascination with the middlebrow reading of the 1930s and 1940s. I always assumed, vaguely, that one day I’d be able to find who these authors were and why these newspapers and books, from all the reading material that had passed through that house, had been kept safely for decades. 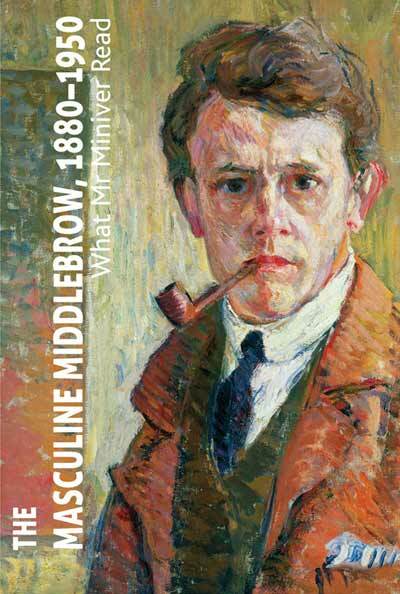 Middlebrow reading is the unconsidered reading chosen for different reasons and for different purposes, and is as powerful an influence on how we understand life as any great art in the library. The reading we choose when we’re tired, when we’re idle, when we’re in need of comfort, and when we need to learn, all comes under middlebrow. Cookbooks fit this category, as Nicola Humble was perceptive enough to realise, all those years ago. 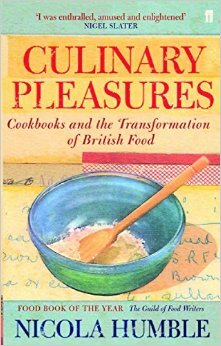 Culinary Pleasures is a fine work of middlebrow criticism, and a jolly good read. This sounds fascinating. I’ve always thought cookery books reflect the social customs of their day.